Dufftown is not normally open to the public, but I was able to tour it as part of the 7 Stills Tour during the Spirit of Speyside Festival in 2008 - and again the following Monday (as I'd already bought a ticket for the second tour before I was able to get a 7 stills ticket). When Barnard visited Dufftown, there was only one distillery for him to visit - Mortlach - a veteran from 1823. 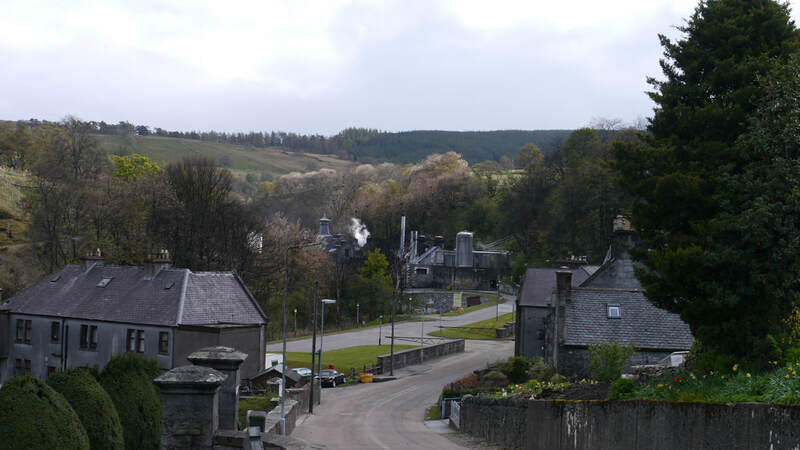 In 1895 Peter McKenzie, who had bought Blair Athol in 1882 got together with John Symon, who owned a mill on a piece of land next to the Pittyvaich farm, half a mile upstream from Mortlach on the banks of the River Dullan; Charles MacPherson and Richard Stackpole. Ironically, according to Misako Udo, the distillery was to have been called Pittyvaich, but the name was considered too difficult to pronounce. The mill was converted into a distillery and began operating in November 1896. By this time WIlliam Grant had already built Glenfiddich and Balvenie; Parkmore and Convalmore were newly built and Glendullan ​would be built the following year. 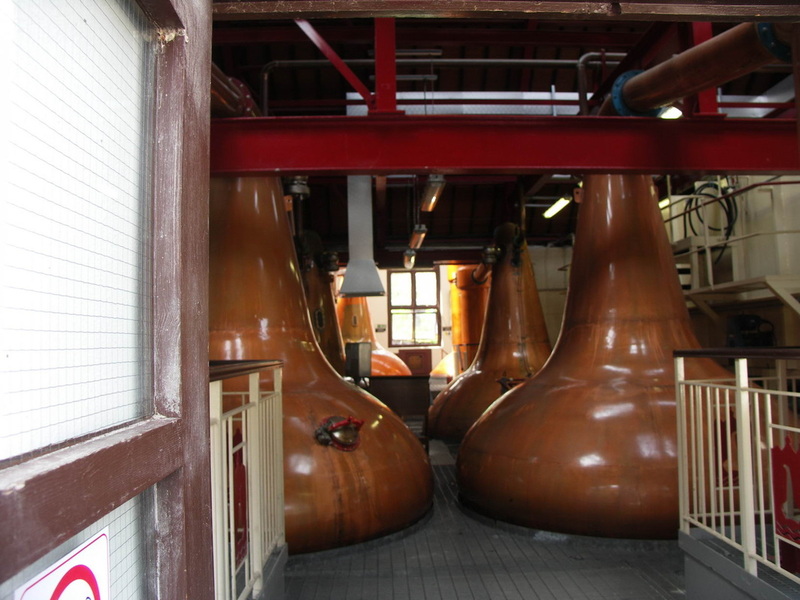 So by 1900 Dufftown's famous 7 stills were in place. ​​By 1897 McKenzie's company are listed as the licensees. 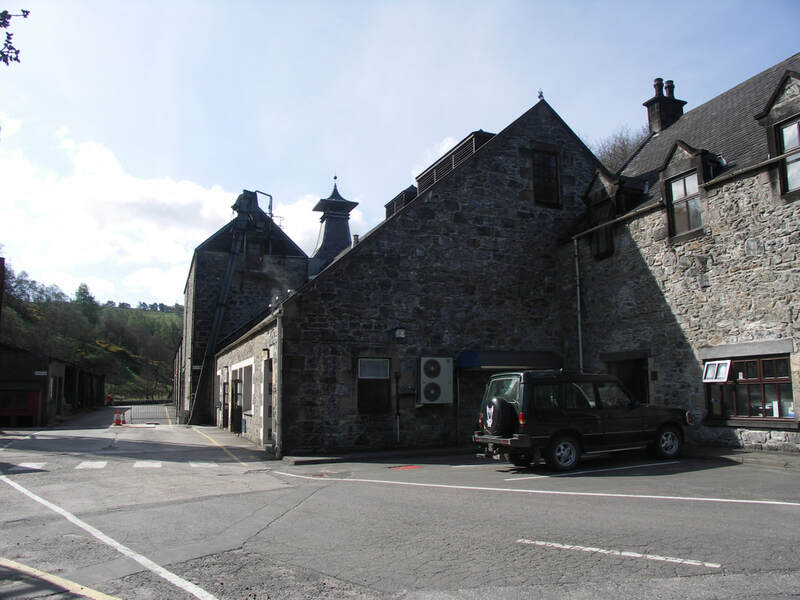 The connection with Blair Athol was important for the distillery's subsequent history, as they had been a long time contributor to Arthur Bell & Sons whiskies - and Bell bought the two distilleries in 1933. 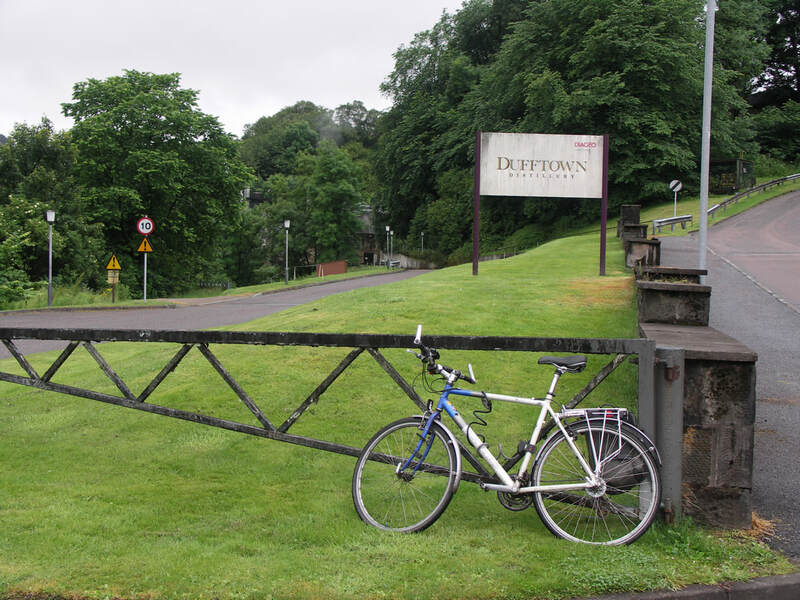 Despite its very cramped site, Dufftown DIstillery was able to expand in stages from 2 up to 8 stills by 1979, though there are now only 6, and more warehouses were built on the hill above Pittyvaich Farm. 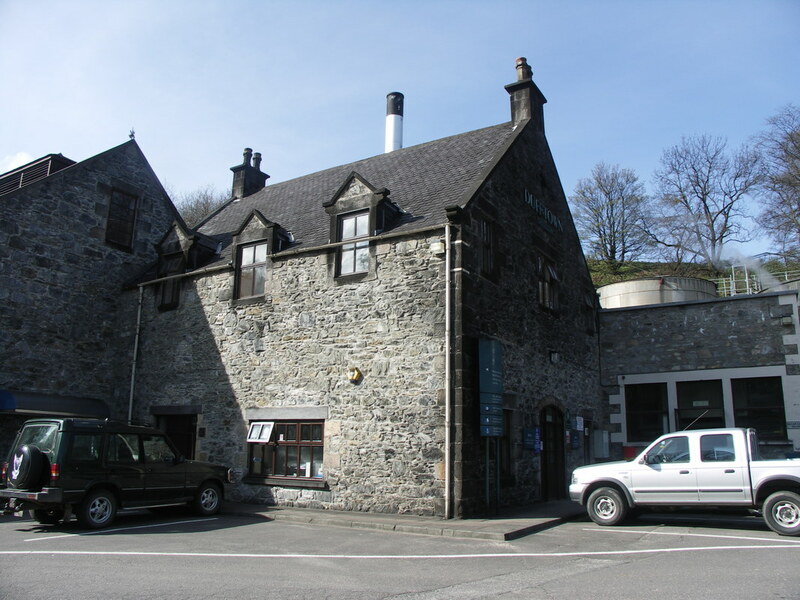 In 1975 Pittyvaich Distillery was erected within this warehouse complex with 4 stills that were replicas of those at Dufftown. 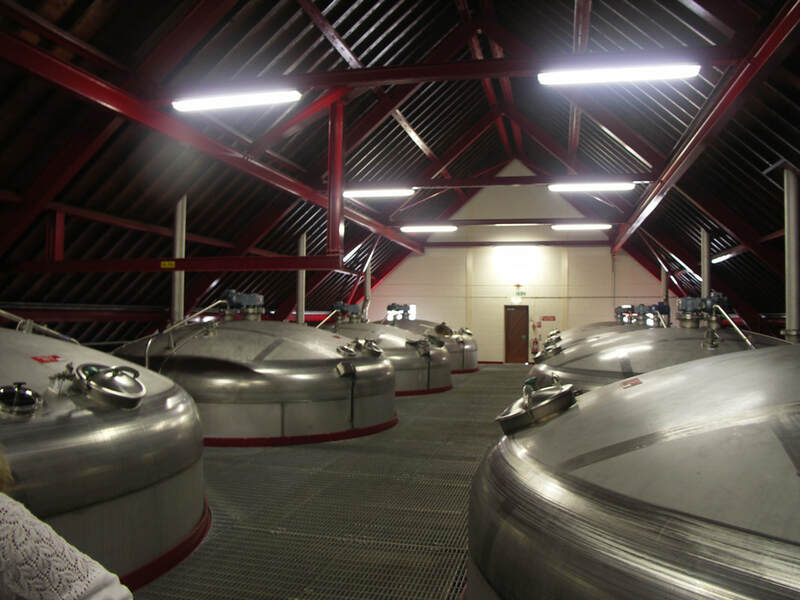 produced more malt whisky than any other Diageo distillery until 2010 when Roseisle started full production - and now Caol Ila's output has also outstripped that of Dufftown. Nearest National Rail stations are Elgin (ELG) (14 miles), Keith (KEH) (10) or Huntly (HNT) (13). Live train times: ELG, KEH, HNT. The preserved Keith & Dufftown railway runs up to 3 trips a day at weekends in summer and some Fridays too - also during Speyside Festivals. (2 miles). 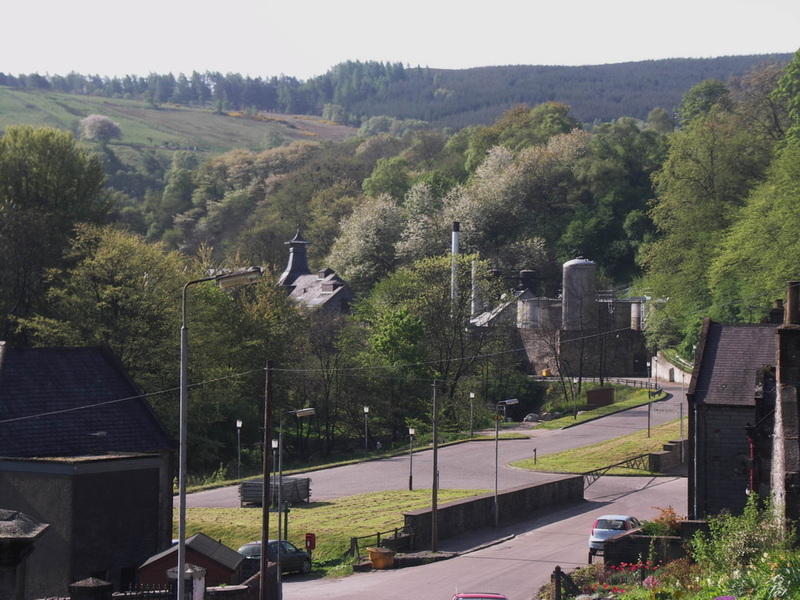 From the Dufftown Clock Tower take Church Road down to and past the historic Mortlach Kirk, continue on downwards to the Distillery on the banks of the River Dullan. Dufftown 15yo was part of Diageo's Flora and Fauna range for some years. This has been replaced by the Singleton of Dufftown range - 12yo (40%) widely available, the superior 15yo and 18yo (both 40%) are only available in specialist outlets. Some NAS Singletons have been added to the range, also at 40%: Tailfire and Sunray - apparently named after popular styles of flies used for fishing on the Spey - and Spey Cascade. Photos on this page were taken by me. Click on photo to enlarge. Full size versions of all my photos of Dufftown Distillery are available on Flickr.